This recipe was given to me by a co-worker years ago. I fell in love with the simplicity of this dinner and better yet, loved it even more when my boys devoured it and asked for more. That’s a win in my book for sure. With only a few simple ingredients, this recipe is perfect for the Instant Pot or the Crock Pot. Served over rice, it’s a complete meal with only a few minutes preparation. Watch the Video Tutorial to see how it all comes together so easily and quickly. 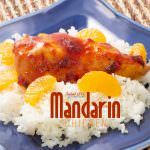 Regardless how simple this recipe is for Mandarin Chicken, you and your family will love it. 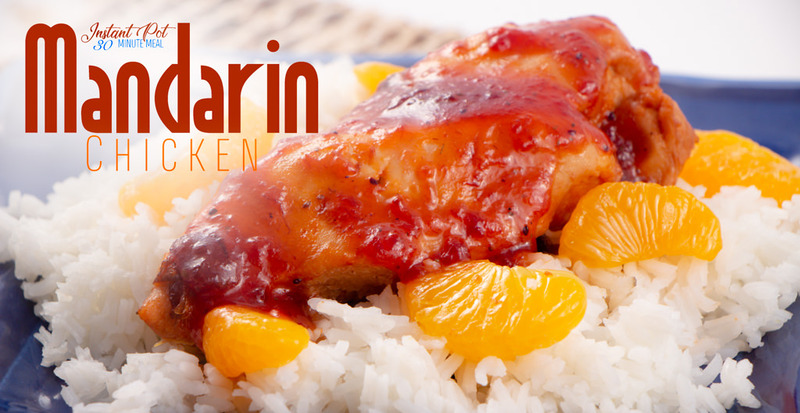 Mandarin Chicken is tangy and sweet. Just a real combination of delicious flavors in your mouth. Place chicken in Instant Pot and add the mixed salad dressing and cranberry sauce. Pour over the top and then top with mandarin orange. It really is just that simple. Set your Instant Pot and you are ready to set the table, cook up a quick vegetable, or put your feet up after a long busy day. Your family with thank you and you will love Mandarin Chicken too. Substitute French Dressing for Russian Dressing. They both are wonderful! Don’t have an Instant Pot? No Trouble! 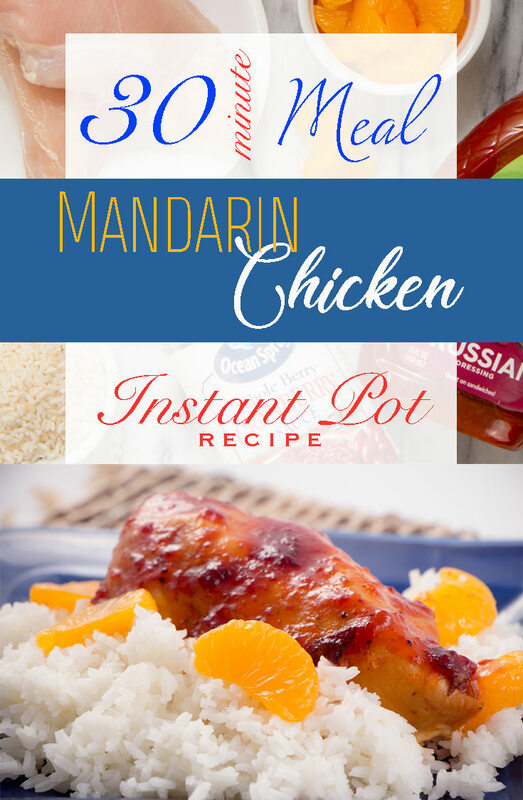 Mandarin Chicken can be made in the Crock Pot too. Follow the instructions and cook for 6-8 hours on low or 4-6 on high to cook your chicken. Delicious! In a small bowl combine salad dressing and cranberry sauce. Mix to combine and set aside. Place Chicken Breasts into Instant Pot. Pour mixture over the top. Pour drained mandarin oranges on top. It’s important to add an additional 1/2 water to the Instant Pot for everything to cook properly. Set to Manual for 18 minutes. Natural Release for 5 minutes and Quick Release the remaining. Serve over a bed of rice. 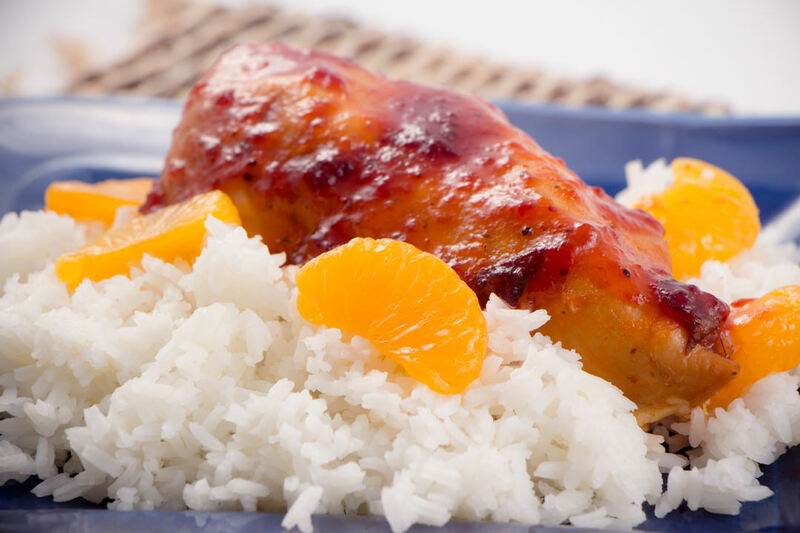 Place chicken on top with some of the juices and additional mandarin orange. Enjoy! 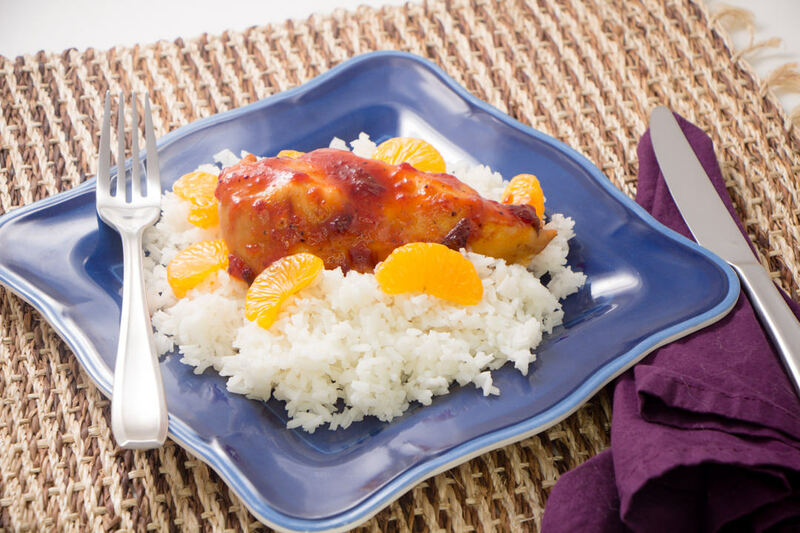 Easy 30 minute recipe, a sweet and tangy Mandarin Cranberry chicken served over Rice Recipe. 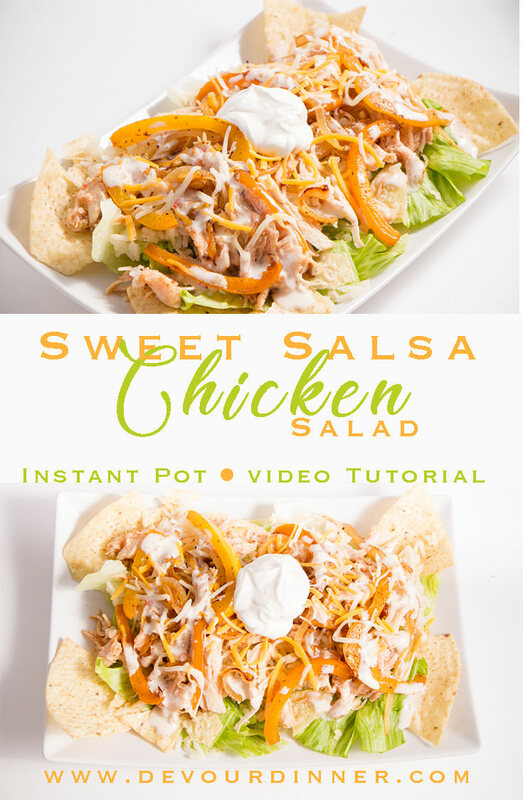 Instant Pot and Crock Pot recipe. Family Friendly and kid approved. In a rice cooker place 2 cups rice with 4 cups water. Salt to taste and start. In a small bowl combine salad dressing and cranberry sauce and miix to combine. Set aside. Instant Pot - Cook on Manual for 18 minutes. Natural Release for 5 minutes, Quick Release remaining time.Crock Pot - Cook on low for 6-8 hours until done. I would like to cook rice along with this by the pot-in-pot method. Would the rice overcook with the 18 minute cook time? Could I safely reduce the time to maybe 10 minutes? Would like some advice to truly make this a one-pot meal. To make this a pot in pot meal, this is what I would do. I would cut up the chicken into smaller pieces (think Chicken Tender size),cut your chicken breast into long strips. This will help speed up the cooking time. I would cook the chicken as the recipe states on the bottom of the Instant Pot and place a higher trivet on top for the rice. Rice could then be cooked in a Pot in Pot method for a 12 minute cook time and you should be fine. As always chicken should reach an internal temperature of 165 degrees. I am looking for delicious insta pot recipes. I love using my insta pot and do need more recipes. Having them dump recipes is a plus—I like things I can fix quickly but still taste really good. I agree Sue! A Good Dump and Go recipe are great. This recipe is a good one. We love to shred the chicken and let it sit in the sauce. It’s delicious! You know that beautiful picture at the top of the recipe? Well, that’s not what you get. I made this tonight, followed the directions and ended up with a large pot of brownish liquid with chicken breasts floating in it. The mandarin oranges had disintegrated into nothingness. The “sauce” was the consistency of water. We ate it, but it was a disappointment, that’s for sure. Hi Bonnie, I’m sorry it didn’t turn out exactly liked you had hoped. There are many factors when it comes to a recipe. If the chicken was frozen it can hold more water, or some chicken will just hold more water than others. You can quickly thicken the sauce with a cornstarch slurry of 2-3 tbs cornstarch to some of the liquid in the pot and add and allow to cook for a few minutes. That will also help. I enjoy shredding the chicken into the sauce so that my chicken is all coated in the marinade of flavors too. I hope that helps! 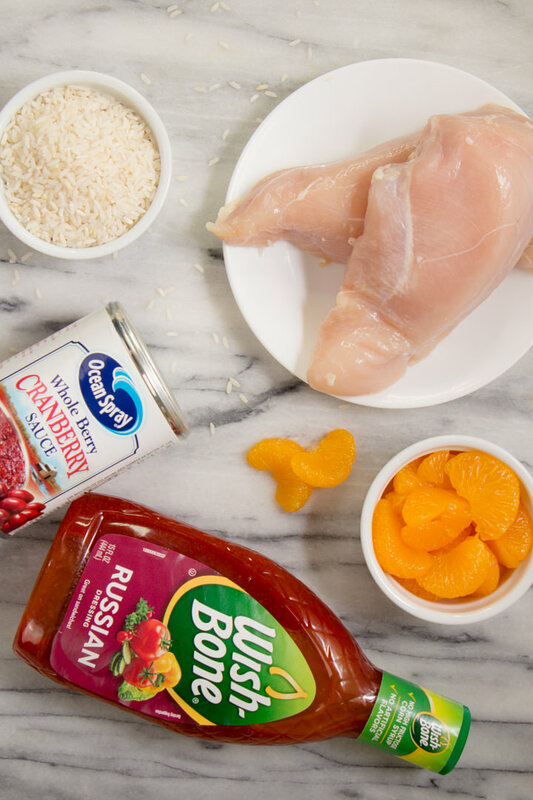 cranberry and mandarin sound like a fab sweet component to this dish! i would like to start using my IP more, especially with simple recipes like these! thanks for sharing your home recipes! Hi Lynn! Cranberry and Mandarin are a fun combination and this is one of the easiest recipes in the IP. Give it a try and let us know what you think! OMG! It’s really easy. Like I say, dummy-proof recipe hehehe. Going to make it sure. Thank you for sharing!! Haha… Yes Edel! It’s Dummy-proof for sure! It just can’t get any more simple than this. Let us know how you like it! Looks so simple and yummy! Thanks for the recipe! Delicious, I’ll be saving this one! Your recipes never disappoint! Pinned! Love the video too! I would have never thought to mix the dressing and the cranberry. 🙂 What a fun discovery! This looks so delicious. Definitely trying the easier, crock pot version you mentioned! Simple and quick recipe for a summer night! This looks delicious! I love making dinners like this one! This recipe looks so yummy! I love how easy it is too – perfect for busy weeknights! I’m looking forward to giving it try. Thanks Christa. The sauce is delicious and so incredibly easy to make. It’s a burst of flavor in your mouth! I love how simple this is! I’m not a big cooker, so I love these kinds of recipes. Thanks Friend! I love Simple Recipes too…but I love even more when it’s a winner and my family loves it! What a clever and easy recipe! I never use my instant pot, but will have to get started. 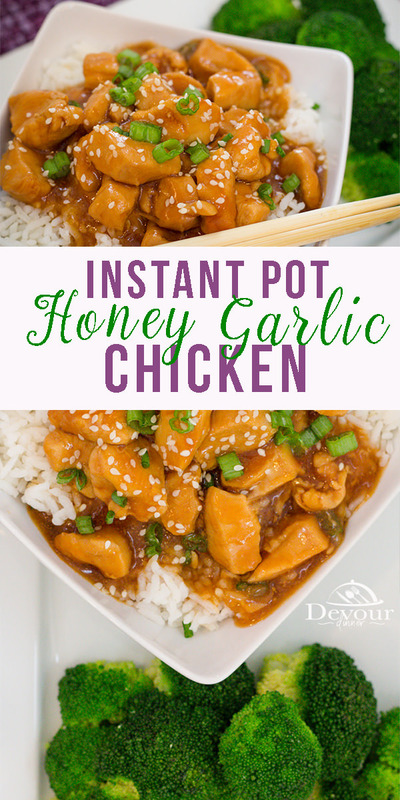 Oh…you will be hooked with this Instant Pot Recipe. Love, love it! Thanks Sharon! Be sure to let us know how you liked it! I am in need of some new recipes to change it up a bit! Thank you so much for this, I am so excited to try it! I love to change up my recipes too. This is one of those perfect recipes to throw a twist into your dinner flavors. I LOVE to cook and this recipe looks super easy and tasty. Looking forward to trying this one! Looks so yummy! We’ve been wanting more from our pressure cooker. We love our Instant Pot. Sure makes Dinner a breeze! This sounds delicious! Definitely saving this to my recipes board on Pinterest. Can’t wait to try it! Thanks Meghan! Be sure to let us know how you liked it too! I think my husband will like this! Thanks for sharing! Looks delicious. Nice easy to follow instructions. Appreciate. Looks delicious! Thanks for the new dinner idea. Yum, that sauce looks delish!! Can it really be this easy? We home cook everything we eat, including sauces, EXCEPT for Asian sauces. We love them but I never really thought of making them myself because they seem so complicated! 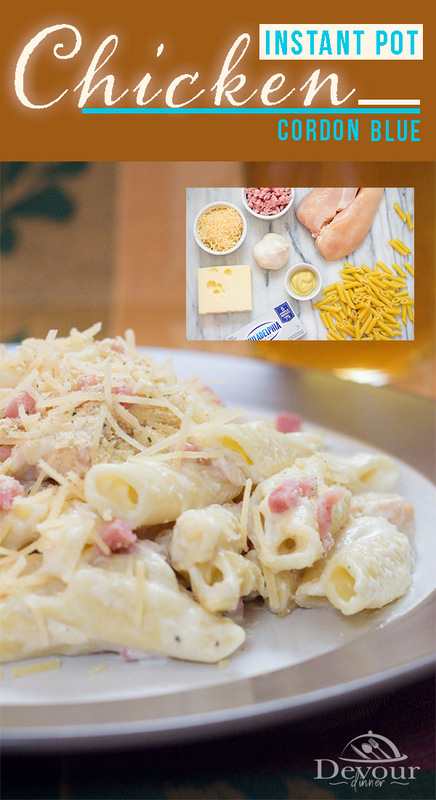 I will be giving this recipe a try very soon! Thank you! It really is just this easy. I love to show you recipes and make them live on video to show just how easy it truly can be. This would be great made from scratch! Looks so good! I live anything I can just throw in the crock pot. I’ll have to try this! I agree Stacey! Anything that is quick and easy is perfect in my book…plus this tastes wonderful too! Yum! This recipe looks delish! My boys love this and will eat it right up. I love how simple and easy it is.